For Sophie, a Year 7 student at Edenham High School in Croydon, focusing in class has not always been easy – and by her own admission, she has sometimes lacked patience. 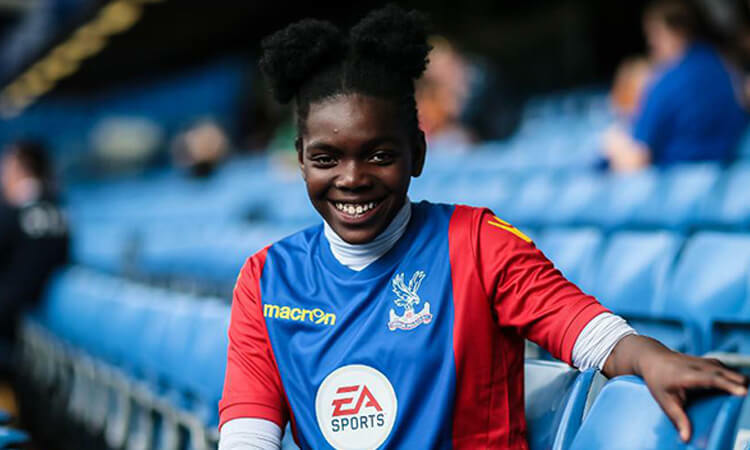 Sophie started playing football during PE lessons in 2016 and, within six months, she was part of the school team that won a regional qualifying competition and earned the right to represent the Foundation in the Under-13 girls’ competition of the Premier League Schools Tournament. After a taste of playing at Stamford Bridge, Sophie aims to continue playing football with the help of her Foundation coach and all of those at Edenham High School.